At the eastern end of Ayia Napa you will find the Macronissos Archaeological site. It is situated on the headland between the two main beaches and consists of 19 rock cut tombs and a simple sanctuary. Excavations began here in 1989, revealing the 19 tombs which date back to the Hellenistic and Roman periods. It is believed the site had been a target of illegal looting since 1872 and the site also suffered damage due the area being used a quarry for many years. 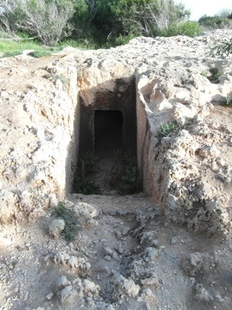 The tombs have rectangular entrances which would have originally been sealed with large calcarenite slab. 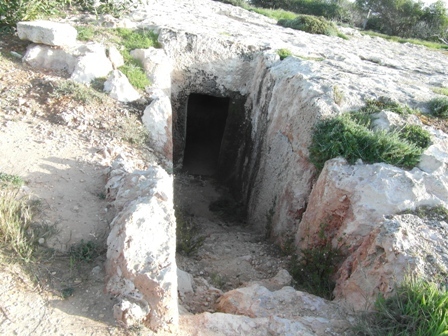 Inside the tombs, a trench runs along the centre and 3 benches at the sides. Pyres were also found at the site. The dead were originally placed in clay sarcophagi. One of the sarcophagi found at the Macronissos site can be seen at the Thalassa museum in central Ayia Napa. The site also contains a small rectangular sanctuary, made from simple stone blocks.